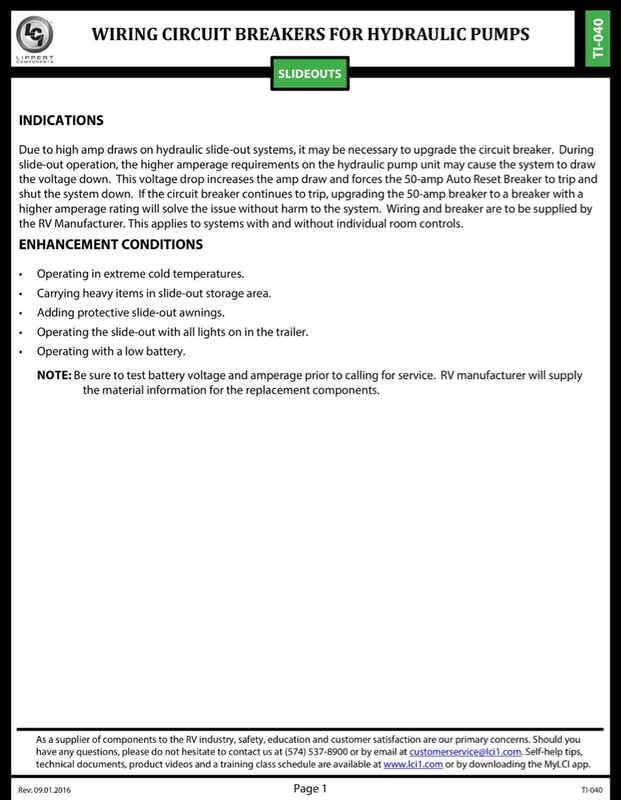 Lights flickered when I used “Auto Level” on 2016 Keystone Alpine 3500. Thinking I may have blown a fuse as we had limited power until we hooked up to our pickup. Any ideas on where a fuse might be for the hydraulic jacks? Lights "flickering" would be fairly normal if you tried to level without being hooked to shore power and batteries were less than fully charged. Hooking up to the truck gave your unit access to the trucks battery as well, which would have helped the situation. 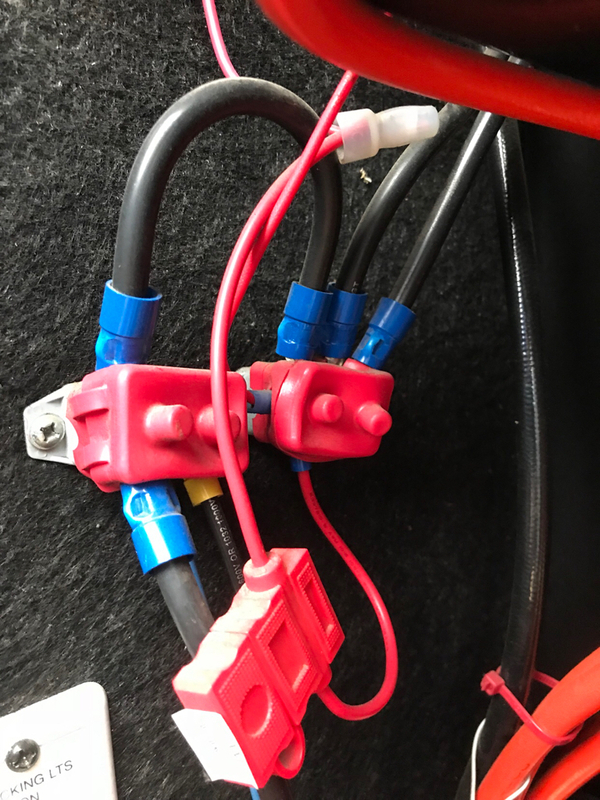 I know on our rig (with auto-level function) there is no actual fuse, but there is a 12v "circuit breaker" located behind the batteries in the battery compartment. That being said, once it is tripped, you would have needed to reset it manually before any hydraulics would work again. What you describe sounds more like a low battery situation, rather than a blown fuse. ^^^ +1 for Harleydodge ^^^... Your slides, and leveling jacks need full battery power to operate properly. Your Level-up should be on a breaker, not a fuse. On my Alpine 3535, it is an auto reset type, located right next to the battery switch. If it were to trip, it is designed to reset itself when an overload conditioned is relieved. Keep in mind, with any circuit, when the fuse blows, or breaker is open, adding extra voltage makes no difference. it is an open circuit. Ok. That does make sense. Now I’m wondering if I in fact checked all the of the breakers inside the unit. I appreciate the assistance and I will see what I can figure out. Happy New Year and Thank You! If you locate the breaker/fuse panel, all the BREAKERS are for the 110VAC side. The FUSES are for the 12VDC side. If you have a copper rectangular looking thing in one of the fuse slots, that would be an auto resetting circuit breaker. The cb you're looking for is most likely near the batteries not in the breaker/fuse panel & you won't be able to tell if it is tripped by looking. My friend had his GD Solitude jacks quit working last season & I unplugged the small plug on the back of the display & waited 15-20 seconds & plugged it back & he says they've worked without fail since, worth a shot. Seems as though in my haste and lack of sleep I didn’t completely switch the converter breaker to off then back on again. Upon looking in the front compartment for an extension chord, I heard a beeping noise which was alarm or indicator for the leveling panel. So as to not “void the warranty” and mess with beeping alarm, I went to the leveling panel canceled the error message and turned the leveling panel off. After disconnecting the trickle charger, the RV seems to be just fine at this time. Thanks again for all the advise. This is all new to us and quite the adventure.